The one thing that modern, contemporary houses these days are missing is that feel of comfort and tradition. We all know we get this feeling the second we walk into our grandparent's house, but it's hard to find in the comfort of our own homes. 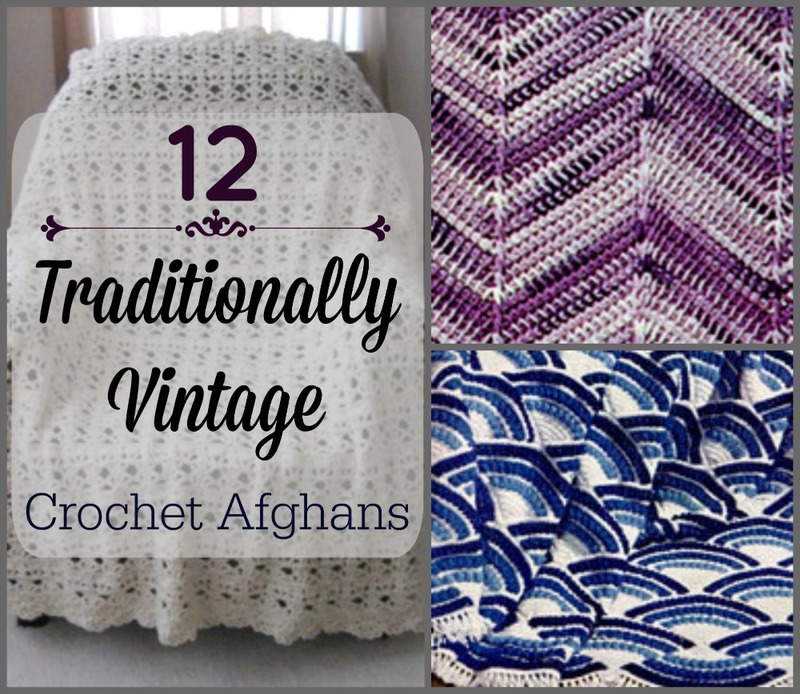 Bring a little bit of that vintage style back into your house by working up one of these 12 Traditionally Vintage Crochet Afghans. Each crochet afghan below will fit right into your bedroom, living room, den, and more. Sometimes, it's nice to have a feeling that your grandma is right there with you, even if it's just by having one of these vintage afghans with you. If you're a grandmother yourself, try working up one of these for your children and grandchildren so that they can take you with them everywhere they go. Whether you have grandchildren that are babies still in cribs or if your kids are past middle-age, all of them will equally appreciate your gift of love and kindness with a vintage crochet afghan they can cherish forever. Download your free copy of How to Crochet: 16 Quick and Easy Granny Square Patterns to find even more crochet afghan patterns! Click here to view our entire collection of vintage crochet afghans so you can find even more patterns to work up. People may laugh but some of the old traditional patterns never go out of style. Mainly because they are a base on which you can build so many really pretty things. I like to try new patterns and stitches, but I also like to fall back on the tried and true. Here is a ripple afghan that I made using the basic ripple.